Home / Gary Dahl / Pet Rock / toy fads / Pet Rock: The most implausible toy fad ever? presents. Can there be a more psychologically charged moment than that in which a child gives his vote of approval or disapproval for the holiday gift that his parents have carefully chosen for him. 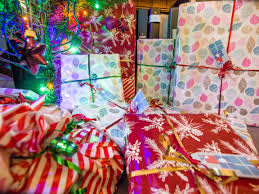 The psychology of holiday gifts got this Kat to thinking: from the thousands of toys that he has seen, which stand out as the most improbably successful over the last 50 years? More intriguingly, how do we account for the commercial success of these products? And can IP inform us about the fate of these toy products? “In April 1975, Gary Dahl was in a bar (which is now Beauregard Vineyards Tasting room in Bonny Doon) listening to his friends complain about their pets. This gave him the idea for the perfect "pet": a rock. A rock would not need to be fed, walked, bathed, or groomed; and would not die, become sick, or be disobedient. He said they were to be the perfect pets, and joked about it with his friends. Dahl took the idea seriously, and drafted an "instruction manual" for a pet rock. It was full of puns, gags and plays on words that referred to the rock as an actual pet. "Your Pet Rock will be a devoted friend and companion for many years to come. Rocks enjoy a rather long life span so the two of you will never have to part—at least on your Pet Rock's account." The Pet Rock craze rapidly diminished soon after the 1975 Christmas season, but not before Dahl had become a wealthy man. It is estimated that in less than six months, he had sold approximately 1.5 units, at $4.00 per unit, netting him $15 million (in 1970’s) dollars. The rocks that Dahl purchased from the Mexican beach cost him one U.S penny each, leading to huge profit margins for each unit sold. The momentary success of the Pet Rock toy is particularly impressive when one recalls that it was launched before age of the internet and globalization. Nevertheless, Dahl succeeded in getting the word out about his product on a mass scale in remarkably short order. Dahl passed away in the spring of 2015. It is reported that several years ago, the mark Pet Rock was registered as a trademark in the United States (unfortunately due to the power outage at the USPTO offices in suburban Washington DC, this Kat was unable to verify this information). "People are so damn bored, tired of all their problems. This takes them on a fantasy trip—you might say we've packaged a sense of humor." In other words, it was a form of escapism. Lest Kat readers forget, the mid-1970's were a particularly dark time in U.S. history. The war in Vietnam was moving towards an inglorious end, while the Watergate scandal led to the resignation of President Nixon. Adding to all of this doom and gloom was the fact that the U.S. economy was mired in stagflation. This Kat well remembers those days; he also remembers the refreshing irreverence embodied in the Pet Rock. The Pet Rock was perfectly attuned to the somber mood of its times. Seldom had a toy served such a role as well. IP did little to support the Pet Rock toy during the zenith of its fad. When one goes beyond the banal artistic facial features added to the various rocks themselves, and the fact that the instructional manual was protected by copyright, the only IP right that really mattered was the potential goodwill in the toy. But such goodwill was fleeting—a brand is so very hard to develop for the long term on the basis of cynicism and despair. To have staying power, Dahl needed to create a durable positive branding message. But he failed to do so. As a result, the Pet Rock was relegated to a prominent position in the Pantheon of toy fads that have come and gone. To all Kat readers, enjoy your Christmas presents, faddish or not, and have a great holiday weekend. In the winter of 1975, while studying at UCLA under the late, great Melville B. Nimmer, I purchased a Pet Rock for five US dollars. The story that then accompanied this product was that it was the most successful outcome of a college assignment to find something utterly worthless -- in this case individual pebbles from Rosarito beach -- and devise a way of marketing them profitably. The product was excellent. Each pebble came in a durable cardboard box, perforated with hole to allow the rock to breathe, and the instruction booklet was written in better, more intelligible English than is normally found today. 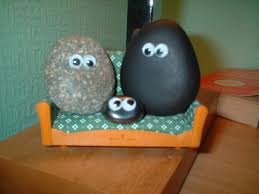 I still miss my Pet Rock, even though I never named him/her/it. It makes one think about the function of the economy to satisfy 'needs'. Steve Jobs believed in satisfying 'needs' which people could not articulate (they wanted all the functions of an iPhone, but not in a way they could ask for in a questionnaire). The issue of rocks, etc, opens up the issue of whether we have needs we are not aware or conscious of, and even of whether clever marketing can give us new 'needs'. How all this is used by goverment, media etc to manipulate us is another relevant issue. From Pet Rock to Bottled Air : http://www.dailymail.co.uk/news/article-2271690/Bottled-AIR-Chinese-multimillionaire-sells-EIGHT-MILLION-cans-fresh-air-TEN-DAYS-pollution-levels-climb-record-high.html : linked by the fact IP law can do nothing to help with "the idea as such" ? Other examples ? I use my pet stone collection to understand the EPO strategy and love to play chess with them and included anthropomorphic fossils, granite and gemstones. I have named them all top down. Here it is…. Vulnerably standing, with no fear or shame. The polished granite BB is calm and quiet, he captures and resurrect the opposition with speed. Short on time and energy, filled with anger and greed and for explaining the rules there is no need. She promotes with mighty vengeance, a smooth ebb and flow. The fossilized VP4 is almighty; hoping none of them will fall. Crossing back and forth, giving his blessings to them all. The Gemstone EPO is our tower, hidden, way off to the side. It's there BB and goons can castle if they need somewhere to hide. I watch the game play out before me, strategy and endurance. With a rhythmic to and fro, the battle is more than the usual bureau-crazy dance. Protect BB King at all costs, that is the marble AC’s passionate creed. Give to him our fossilized faithfulness and he will return our need. Each of us are gemstones, we all play a key role to EPO’s winning. I’am polished and will provide for us, BB tells us at the beginning. When a black fossilized IU stood in front of me, with its steel sword drawn. I realized right then and there, all I was is just another gemstone pawn.